I create art that is inspiring and mostly from found objects. 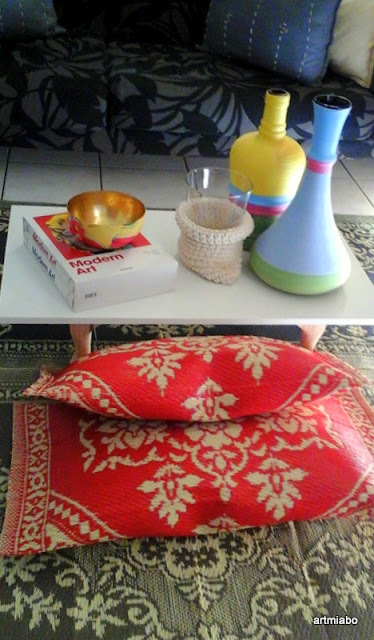 The purpose is to restore back function and beauty to these objects. 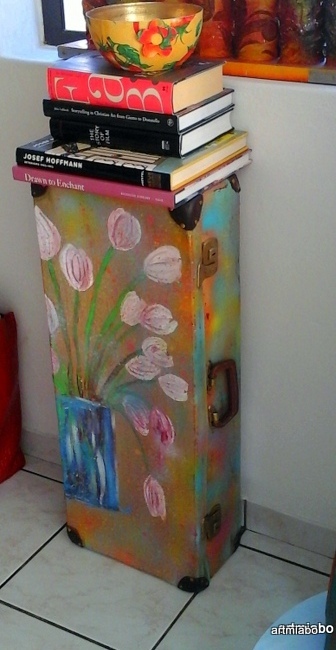 There is a certain fulfilment in me when these discarded objects are created into art, for us to enjoy. 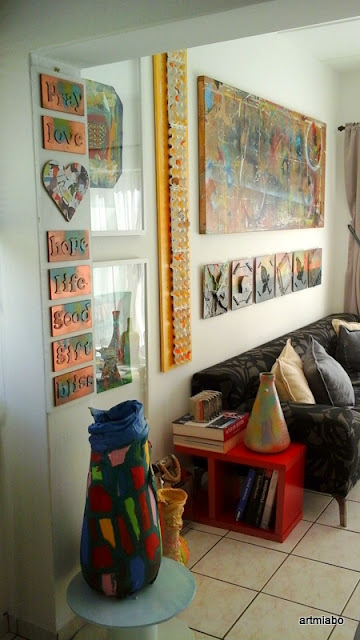 The last five months for me has been great fun, restoring found objects into art and craft that is functional and purposeful. 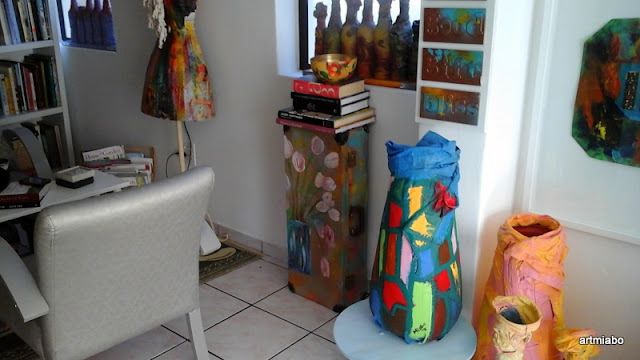 My main objective is to give value to these objects, with the hope that I can inspire others to take a look around them and be more creative with what we have. 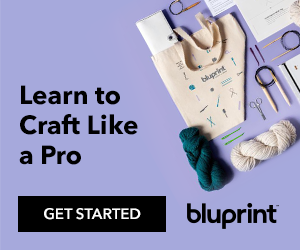 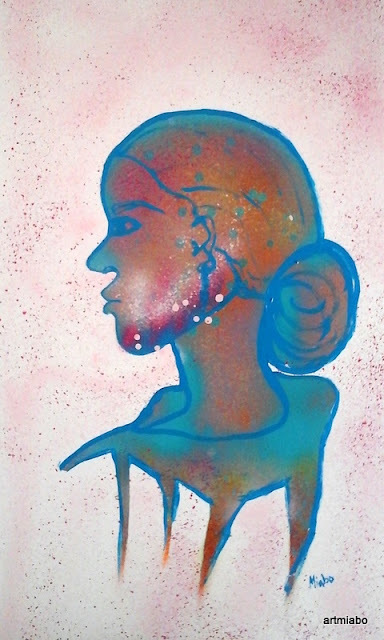 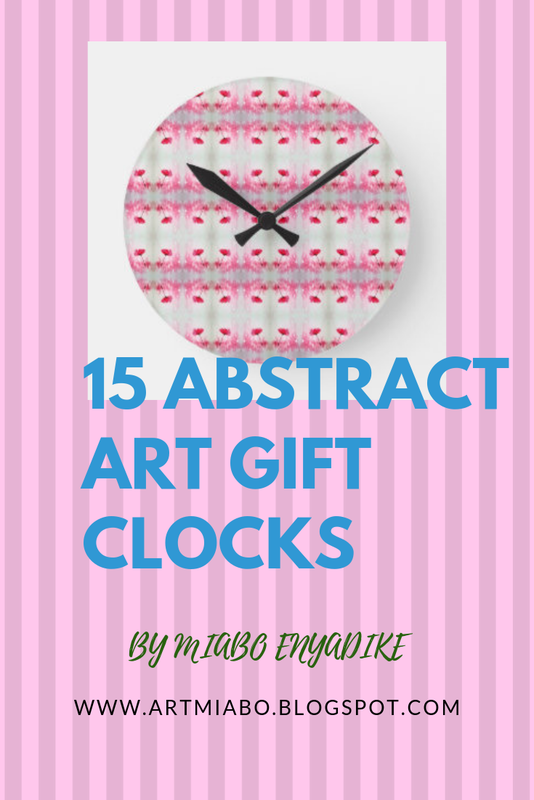 Curated Art and Craft by Miabo Enyadike. 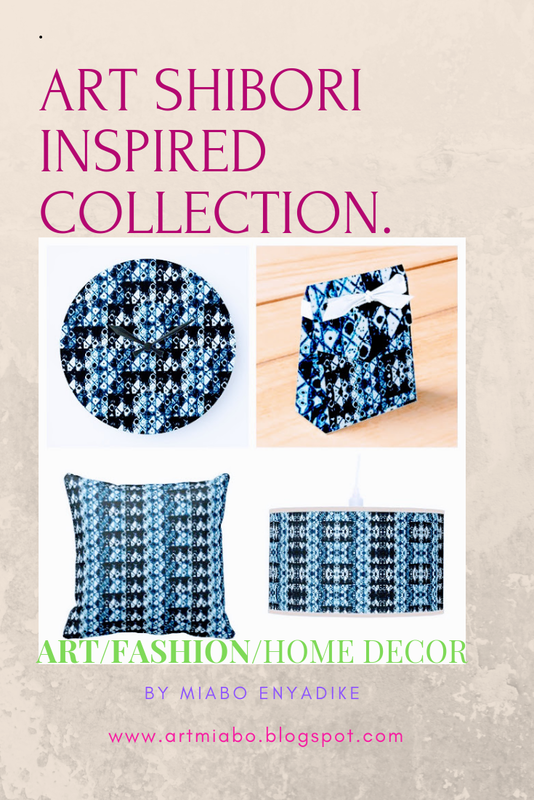 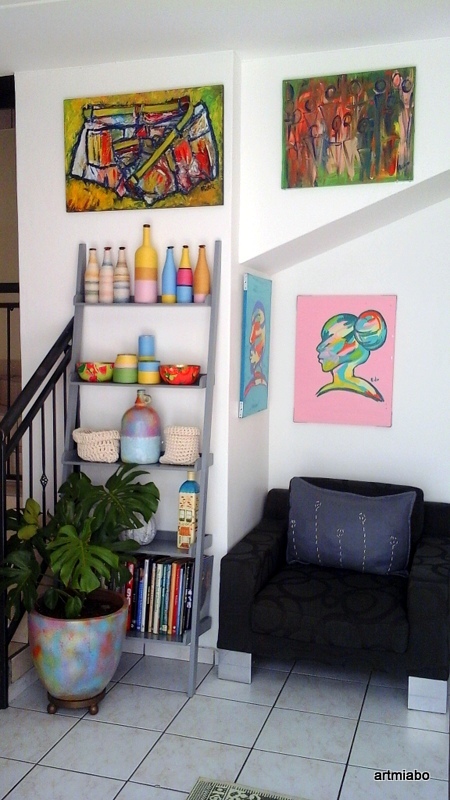 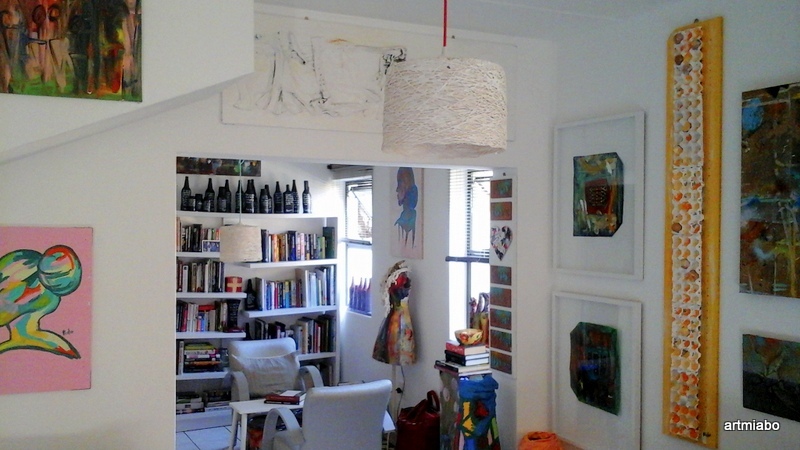 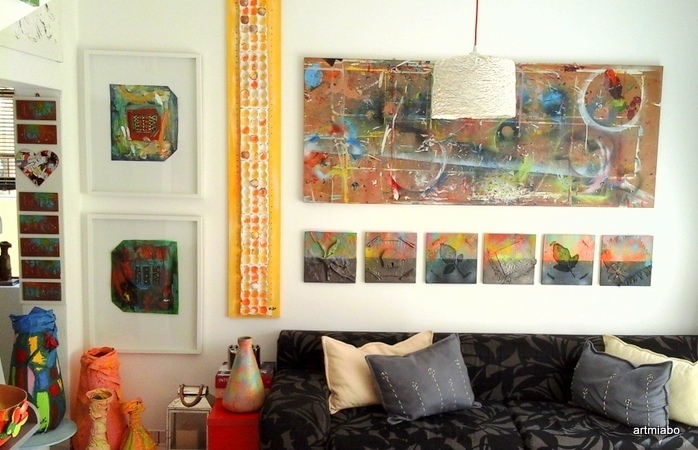 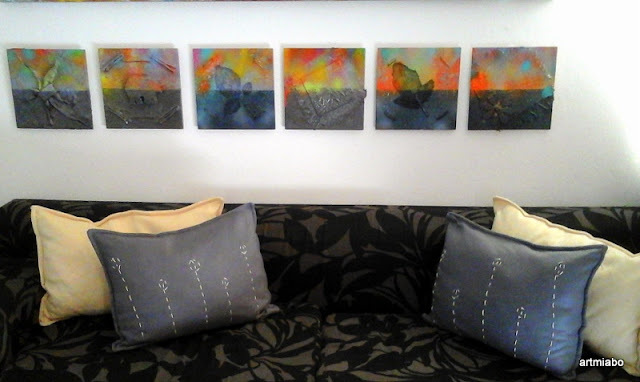 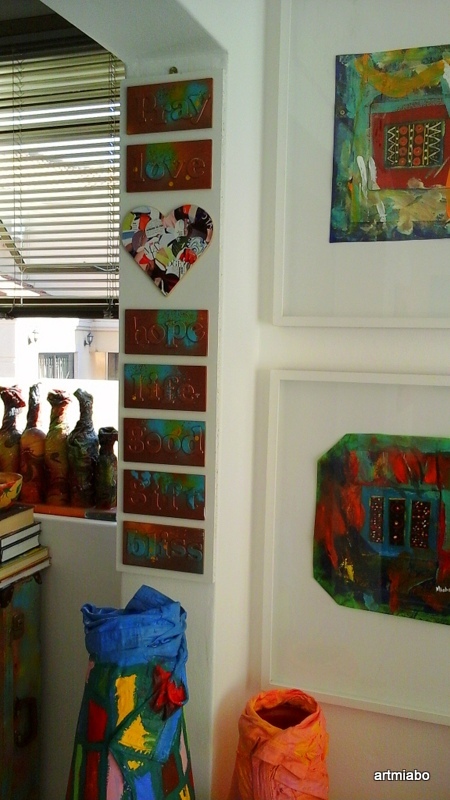 Curated Art and Craft in living Room by Miabo Enyadike. 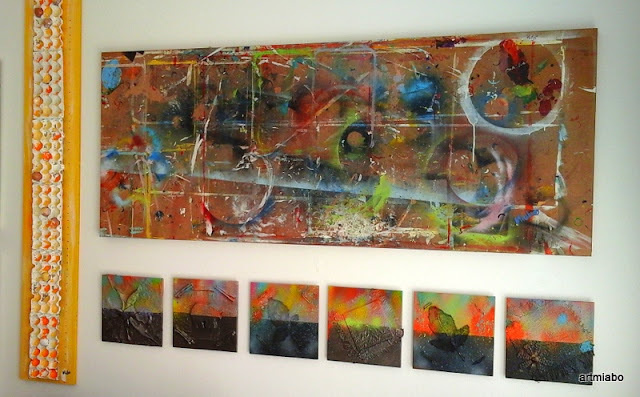 Roped and painted bottles, Art on wood boards. Broken Egg Shells in Egg cases (Art Object) by Miabo Enyadike.